Any change management process requires good communication skills as many employees are naturally resistant to change. If changes in the business are also not congruent with some employees' self-seeking interests, the challenge for managers is even greater. Employees also have unique personalities and may react to change differently (also read my post why employees might be resistant to change). 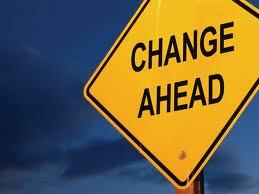 Employees need to prepared for the change in the business and all changes need be reinforced. What role does communication play in the change management process? Before the changes are implemented, the manager first needs to motivate employees to appreciate the need for the change. Many employees feel too comfortable in the current status quo and need to see how the changes could benefit them in the long term. The manager could, for example, communicate current problems in the business and explain how the changes would solve them and also benefit the employees. Numerous tools are available to motivate employees, for example, face to face meetings, the business Intranet, personalised emails, desktop feeds and newsletters. It is especially important to manage any rumours which could spread fast and harm any positive messages. Employees need to know their roles in the anticipated changes and need to hear it from managers. Once employees are aware of the need for the changes, they need to be empowered with new methods and guidelines to accommodate the changes to the best of their abilities. The manager should, for example, introduce training programmes where necessary to provide employees with the necessary skills to use any new methods and procedures. Lastly when the changes are implemented, the manager has to communicate reinforcing messages to support the role of the employees in embracing the process. The new way of doing tasks, for example, could be praised so that employees feel part of the whole process. Implementing changes has never been an easy task, but with the necessary communication skills all resistance could eventually be surmounted.